Looking for a fun new flavour of fat bomb? Then you are going to LOVE this new keto fat bomb recipe! I’m sick of the few recipes I had been making, and wanted something a little festive for Christmas; something that tastes more like a treat! I found a few recipes on Pinterest, but none were quite what I was looking for. 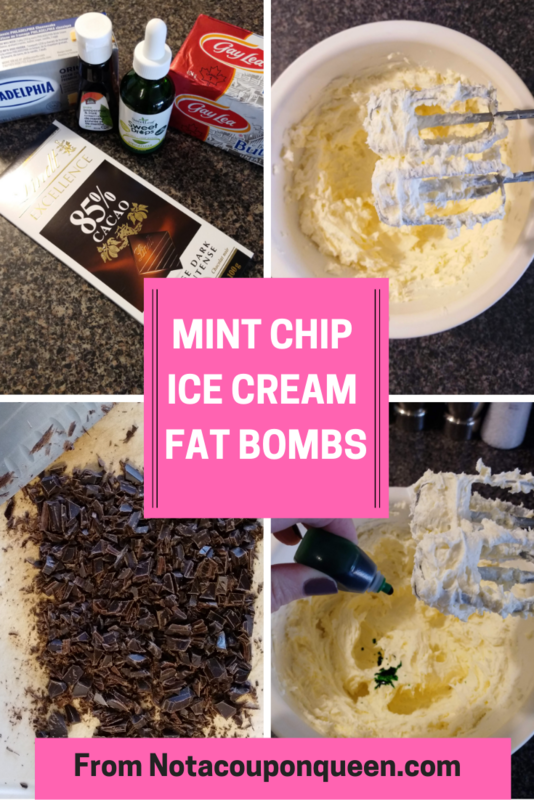 Fat bombs usually follow a similar recipe, so I took the amounts of cream cheese and butter that were common in most recipes, and adjusted the flavours till they were exactly what I was looking for. Of course, feel free to adjust it to your likes, if you prefer it more or less sweet, minty, or chocolatey! In a medium bowl, using a hand mixer, blend the softened cream cheese and butter until smooth and fluffy. I prefer a hand mixer over a stand mixer, as it’s easier to control and make sure it is all evenly whipped. Add in the first tea spoon of peppermint and stevia; mix well. Taste to see if it’s minty and sweet enough for you, if not, add a little more and mix again. Add in as much green food colouring as you’d like, mix well again. Finally chop up the squares of dark chocolate, and stir in by hand. Scoop out the mixture into silicon mold or muffin liners. Depending on how many molds you use and how much you fill them, the yield may be different. I use standard muffin size silicon molds, and fill them about half way and it makes 12. Freeze for a several hours, pop out of the molds and store in an air tight container and enjoy! 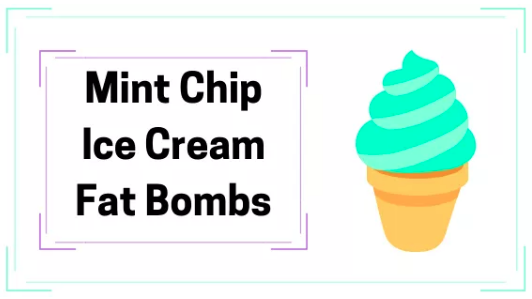 These do keep well in the fridge, but I prefer mine frozen for that extra cold minty flavour, just like mint chip ice cream! For a more festive look for Christmas, color half red and half green and swirl together for a candy cane look. These are by far the favorite flavor in my house, we haven’t been making any other keto fat bombs since creating this one!